When you are buying your family a new home, you want to work with only the top North Carolina Real Estate Agents. You want to know that you can depend on your realtor to always be looking out for your best interest and you want to make sure that they know all there is to know about North Carolina real estate rules and laws. You’ve found what you’ve been looking for. Whether you are new to North Carolina or just moving down the street, we’re here to help. 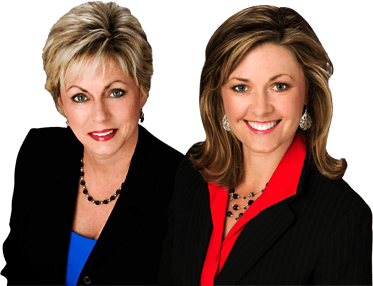 Sheila Mays and Carrie Gibson have over 50 years combined successful business experience, and over 15 years combined Real Estate experience. They are passionate, determined, committed, and dedicated to protecting our client’s best interests! Client satisfaction IS their top priority. They have formed a great team of North Carolina Real Estate Agents dedicated to assisting clients in obtaining their dream home! Real Estate is a multi-layered process and can often make buyers and sellers feel as though they are in a never ending maze of homes and paperwork! It is vital to have a professional take the lead and guide you in the right direction! They want to make the journey more pleasant, with fewer surprises in the home purchasing or selling experience! The Mays Gibson, Inc. Real Estate Agents are here to provide the level of assistance needed to get you from the beginning of the real estate maze to the finish line, when Buying or Selling one of your greatest and most treasured assets! You can trust them to protect and navigate ethically, with diligence & honesty! Rely on the Top North Carolina Real Estate Agents! LET’S GET MOVING to find A Home 4 U! !